A perfect wild Deschutes River summer steelhead. 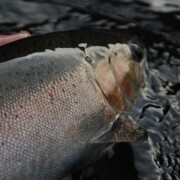 Here we are about half way through the Deschutes summer steelhead season. I want to let those looking for good information on the conditions of the what to expect if your head this way. The Fish are here and from up river stories throughout the river system. 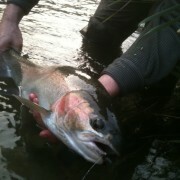 As for below the White River, fresh fish are showing up daily. For the last week the clarity has been somewhat stable. The river seems clearest in the evening and in the morning, but clouding up a bit by midday. We have been fishing both floating lines and some light tips both with similar success. 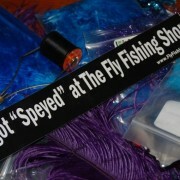 I have been liking flies with copper and chartreuse in them, at least I know the steelhead are seeing it, lol. 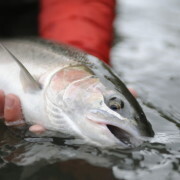 My current favorite rod and line combo for chasing summer steelhead. Another big wild Fish from one of the recent AWA camp trips. I no this is last minute, but just want to throw this out there. There is an opening for a camp trip that leaves monday Morning. 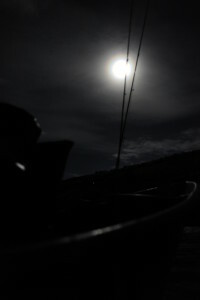 the trip is a 4 day 3 night trip to the mouth. This seat will go at half price, contact me ASAP for info at betterfishing@speyfishingoregon.com . Hope to hear from you soon. Now get out and fish!!! 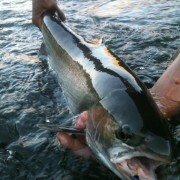 The things you witness on the river!!! I have never been this busy ever. 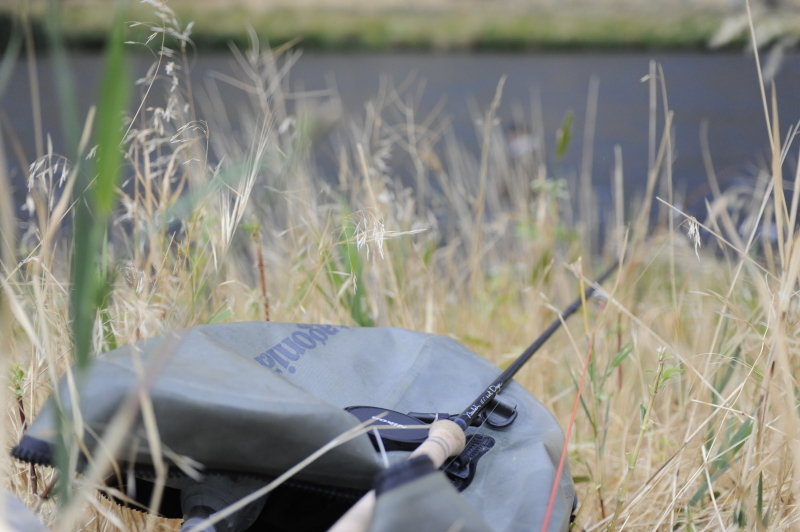 So, what is your favorite rod/line combo? Beulah/Beulah? 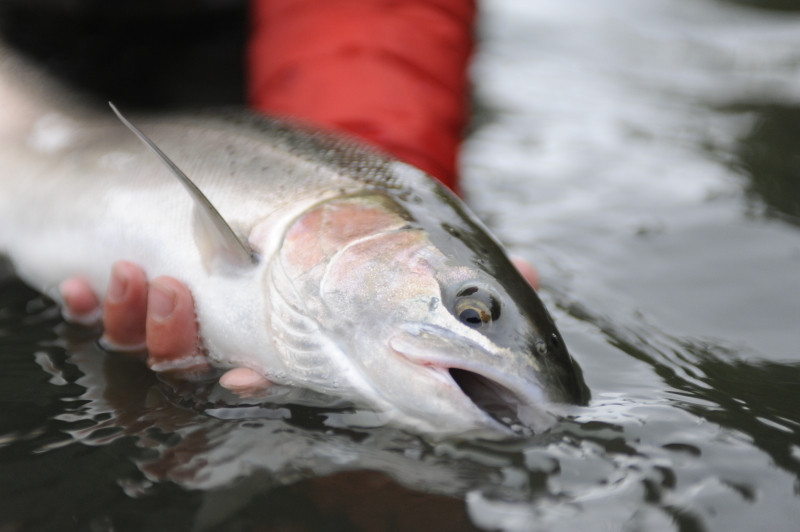 Great info on fishing for steelhead on the Deschutes. 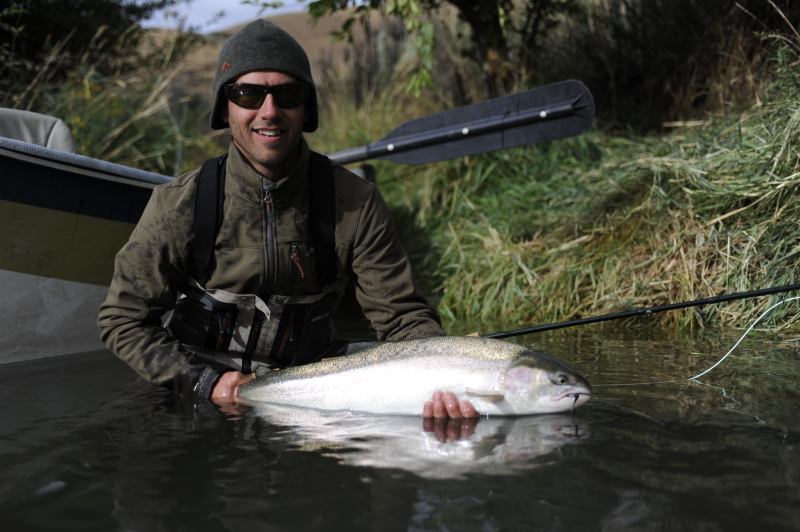 I don’t get to Oregon often, but this river is one of Oregon’s true steelhead fishing gems. 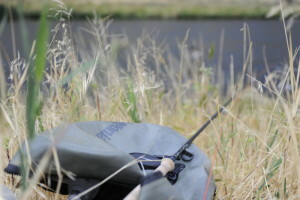 I hope to get out there this year for some float fishing. 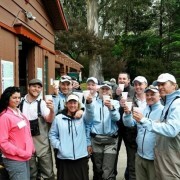 Hope to see you on the water.